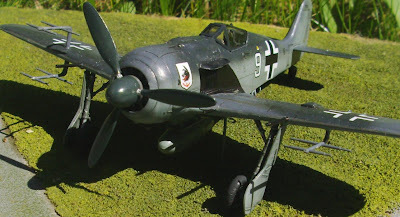 Revell Fw 190 A finished as Klaus Bretschneider's 'Red 1' from September 1944 when Bretschneider was Staffelkapitän of 5. 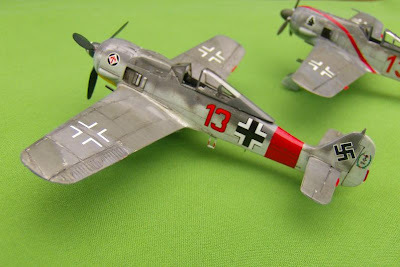 (Sturm)/JG 300, decals from the Aeromaster 'Rammjäger' set. I've added plastic card 'armour plate' to the cockpit sides, faired in the upper cowl MGs and fabricated some 30 mm cannon in the outboard wing stations from sprue! 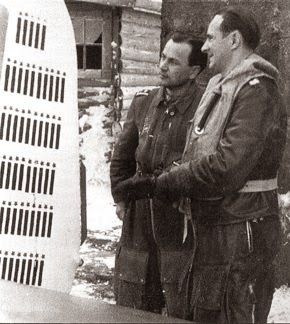 Bretschneider did in fact 'ram' a B-17 in this aircraft. 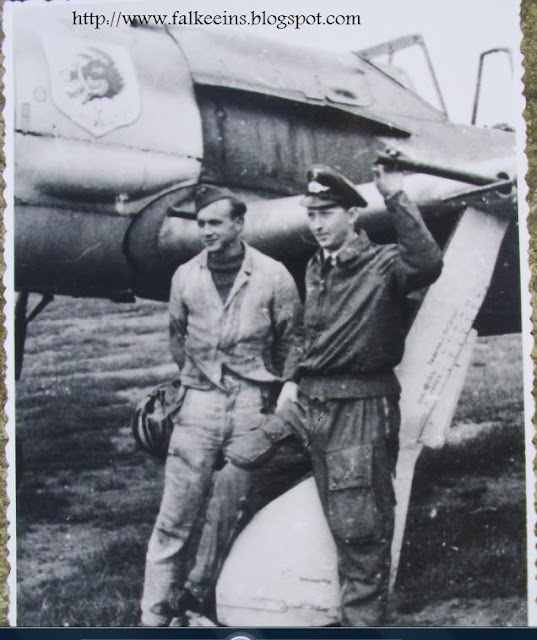 However this was an unintentional act - a collision - since he was able to land 'Red 1' safely - full story in the Jean-Yves Lorant's JG 300 history. 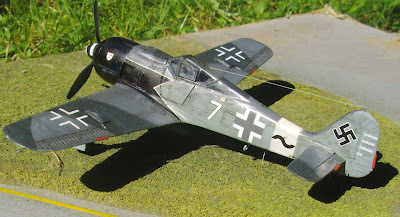 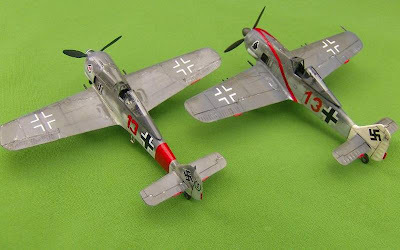 Revell A-8 in the markings of Hans Weik, IV. 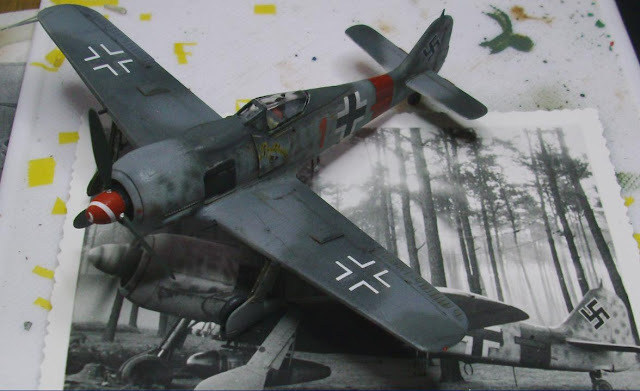 (Sturm)/JG3 ace (36 vics. 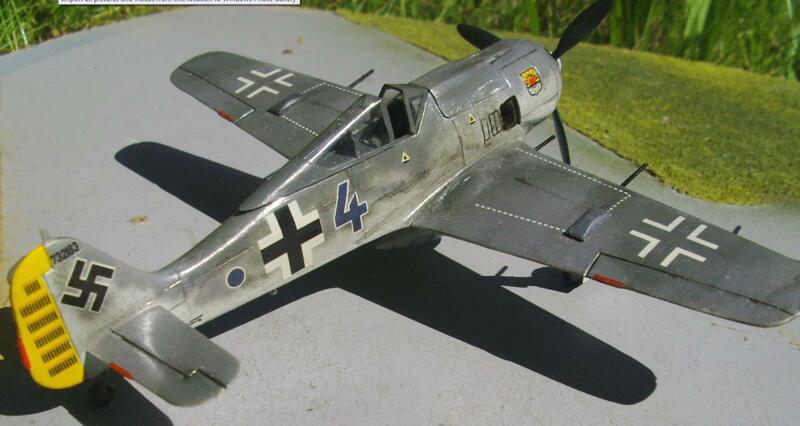 Weik was WIA as Staffelkapitän of 10./JG 3 on 18 July 1944 at the controls of this Fw 190A-8/R2 (W.Nr. 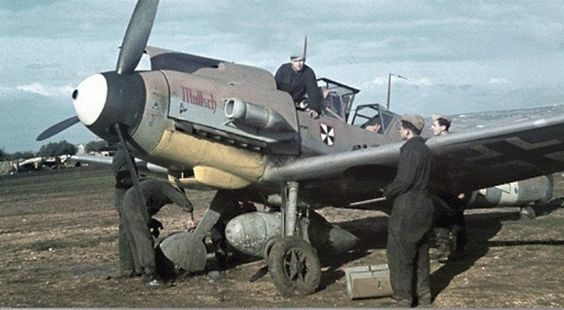 680 747) "White 7". 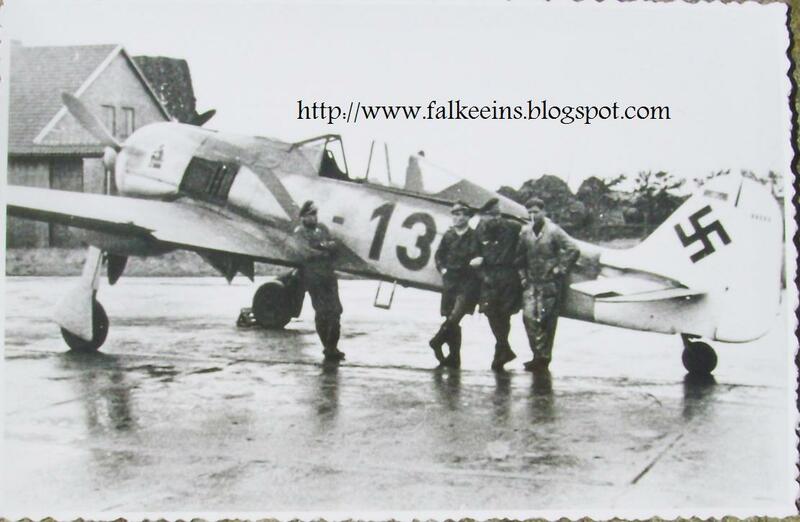 The wounds were serious enough to keep Weik from any further front line duties. 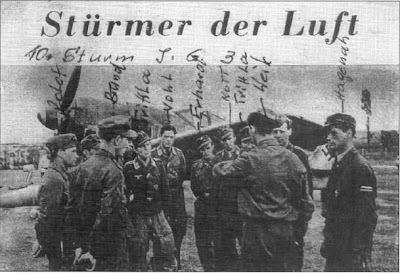 On 27 July, Oberleutnant Weik was awarded the Ritterkreuz for 36 victories. 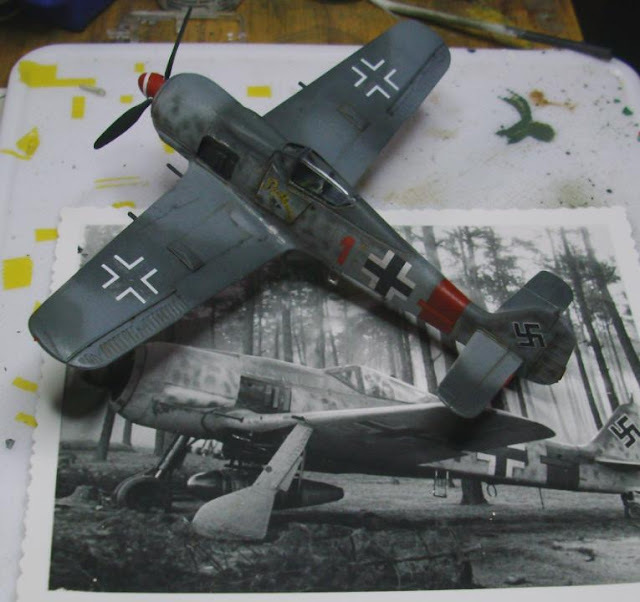 In April 1945, Weik was transferred to III./ EJG 2 at Lechfeld to train on the Me 262 jet fighter. Italeri A-8 in the markings of JG 5 ace Lt. Rudi Linz, Kapitän of 12./JG 5 who was shot down and KIA on 9 Feb 1945 at the controls of Fw 190 A-8 WNr. 732183 'Blue 4'. Posthumously awarded the RK. 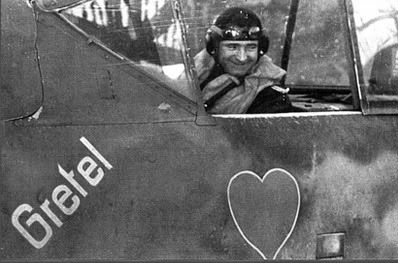 The port side of this a/c featured a large green heart emblem under the cockpit..